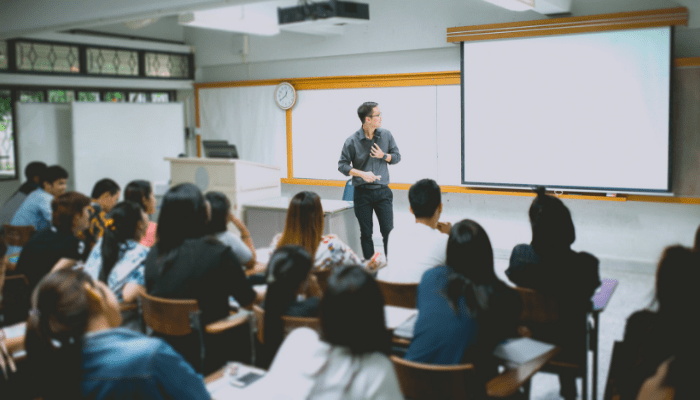 What are the Best VoIP Phone Systems for Schools in 2019? Few people think of the administrative side of the education system when discussing schools and budgeting for education. They care, rightfully so, about the students, their education curriculum, and the employment opportunities students will have upon graduation. But for those working behind the scenes in the budgeting process and in day-to-day school operations, it's critical to have systems that keep the schools and administrations running. Just like any business, Internet service or business phone service that facilitate how the school communicates with the world outside the schools grounds is pivotal to its success as an organization. This is the case whether it's a large public school system or a single site private school. This article will explore the necessary features of VoIP phone systems for schools, share some recommended models, and explain how they'll make your administrative side shine. It seems as technology continues to advance, the previous generation of tools become outdated at faster speeds than they used to. It's the same in business, but in the education field, this is even more pressing of a problem because budgets are set far in advance and tech that is behind the times has an impact in the classroom. Slow and faulty tech can hinder learning and make school look even more unappealing. The same thing happens in the workplace. Think about it... what if what you have at home is better than what is available in class or at the office?!? One key piece of technology schools have started adopting is a VoIP phone system. They offer significantly more features than the standard legacy phone system that uses landlines and diminish the amount of equipment required. We're going to show you six outstanding features to help explain why VoIP is the best phone system option for your school. Schools have a constant need for communication, and if a phone line goes down, it can result in other issues... like not being able to receive or make calls to parents or to public safety agencies in the case of an emergency. With cloud-based VoIP, the chances of phone service failing decreases. If you've upgraded your Internet connectivity to run on a fiber connection, you've reduced the risk even further. Unlike standard landlines, VoIP phones connect over the same network as your Internet connectivity. Assuming that your service is delivered over fiber, the type of outages that copper networks endure during inclement weather are avoided. Traditional landlines are typically delivered in a static quantity, such as 23 lines delivered via PRI. When your phone service is already operating at maximum capacity, you can't accept or make any more calls. Additionally, there's no way to take on more calls or add additional features without significant modifications to the entire system. Because VoIP is mostly configured in software, you can conduct system updates to ensure they're always operating at their max performance. Landline phone service is a stagnant technology, in comparison, while VoIP offers flexibility and update potential that is unlimited. VoIP service includes all your traditional telephony features but then a whole slew of new ones now possible because you're using a packet switched network rather than a circuit switched one. Features such as those listed below just scratch the surface of what is possible. With software APIs or custom-programming, that literally is no limit to what a VoIP network is capable of. For school districts, having a working intercom system is essential to sharing announcements, paging students and teachers, and alerting the building in case of hazards. VoIP phones can connect to the intercom system, allowing you to make announcements from your desk, rather than needing additional equipment. If you need to page someone but know where they're located, you also have the option for IP paging. These calls go directly to a VoIP phone's speaker, ensuring the message reaches the correct person, and only interrupting one classroom. There are numerous ways to record phone calls, and when dealing with children's information, it's a good idea to maintain a log in case it's ever required. It's important to note there are potential legal issues with recording calls, so take precautions. Recorded call archives can be stored locally or centrally and your archive is easy to retrieve... but also protect to insure that unauthorized access is mitigated. Unlike the annoying telemarketing calls you get during dinner, robocalling with schools can be extremely helpful. If schools close for weather or a child was absent from morning attendance, this feature lets you send an automated call to the student's home. This feature saves a tremendous amount of time, by having a bot make one call, rather than you making hundreds. Video conferencing is especially helpful in districts with multiple schools. Administrators can jump on a video call with other schools or the superintendent right from their desk, saving time and money. Though models of VoIP phones will vary, the sound and video quality of most are on par with computers, saving you from needing to purchase additional equipment. VoIP phones make it easy to set up call routing. With extension menus, callers can work through pre-recorded options to have their call directed to the right line. Administrators can also record answers to common questions, like hours, upcoming events, or weather updates. If your school receives a large number of calls, VoIP phones can provide a queue so callers can estimate their wait time. A more sophisticated capability is "automatic call distribution." With this feature, call routing is made conditional and skill based. This means calls can be routed based on the date, time, needs of the call, or other parameters. You can even establish if/then conditions to fine-tune who receives which calls. Finally, VoIP call routing can also determine who the caller is and adjust their priority in the queue based on information the school establishes. With security and student safety being a top priority in schools across the country, it's no wonder why this feature has become almost mandatory. Group paging allows users to pre-program specific numbers into one extension. This capability allows a caller to dial one number that reaches multiple lines. Group paging is a safe and effective way to alert classrooms of an incident quickly, without needing to announce it over the intercom. It also serves to provide information during a lockdown, or less drastically, if the intercom stops working. Voicemail-to-Email integration has definitely changed the nature of voicemail. No longer are you tied to your desk phones, patiently dialing through the menu and listening to each voicemail. While calls can be routed to a mobile device for when you're out of the office, you're also able to receive emails from your voice-mailbox. In fact, most of my customers don't even use their voicemail box. The have voicemails go right to email so they can listen to them at their leisure and prioritize those that are most important. It's trivial to forward a voicemail using email, resulting in faster action from whoever is best suited to reply. These emails can contain transcribed text that's searchable. While this service can be set up through any device, VoIP phones allow you to read the messages from the display, rather than needing a separate device. With this feature, administrators can leave messages for teachers that they can read without disturbing the class. To further improve on this feature, offices can set up group mailboxes where all members have access. This creates less lag between the caller's original message and your response. Conference bridging allows large numbers of people to participate in the same call. This is hugely beneficial, as it reduces the planning considerations for meetings. Administrators no longer need to plan around schedules and travel times. With some models of VoIP phones, a graphical user interface (GUI) lets you see who's participating in the call and who is currently speaking. The best part is that as long as participants have access to a phone (landline, mobile, or VoIP), a computer, or a tablet, they're able to join in. For example, the school can provide a number during board meetings. Any parents that want to listen in can call that number and get the information without needing to attend. Having a flexible option for your phone service is critical, especially in a school system. Many VoIP providers don't require annual contracts for your service. This gives you the flexibility to change your service at any time, rather than being locked into an annual contract that's difficult to depart from when it expires. Another great perk with VoIP phones is that calls can be rerouted using emergency dial plans. In the off-chance your Internet goes down, this allows the phone system to continue to operate. It requires additional planning but should be part of your school's communication plan. If phones on site lose power or connectivity, you can have the VoIP system pre-program to forward calls to a cell phone or alternate site so calls may still be answered. Most VoIP phones are "plug-and-play," meaning you can upgrade, downgrade, or switch phones whenever you need to, without requiring a complicated install process. This also means you don't need a company to set up the phone for you, as even a new IT tech can manage the task without much strain. It may come as a surprise, but VoIP phone services are normally less expensive than tradition landline service. By using a cloud-based private branch exchange (PBX), you're saving tens of thousands of dollars in initial costs and maintenance over the long term. By using a cloud-based PBX, it also means the system is scalable, stopping you from wasting money for larger service packages than you need. When it's time to increase your numbers, you're not forced into bulk orders, simply add the lines you need to. The upfront cost of VoIP phones is relatively small, in comparison to traditional premise-based PBXs. Since they connect through the internet, anywhere a computer is present, there's already a line for your phones. This saves a lot of time and money on the installation alone. Because VoIP runs over the Internet, you're able to call anyone within your LAN network at no charge. This means teachers and administrators can stay in contact throughout the day without adding additional costs or having to walk across the school to meet in person. Compared to intercom pricing, VoIP is a cheaper alternative, and by removing the need for other pieces of equipment, you're furthering that value. With most things in life, perception is half the battle. VoIP phone systems are a simple way to strengthen the image of your school as a professional organization. Nearly all of the features we've discussed up to this point lean towards professionalism. Sending calls to parents so they're kept informed, answering with an automated system that can direct their call to the correct office, and playing music while they're on hold are all minor things that go a long way to increase your school's perceived value. Now that you have an idea what features are possible, take a look at our recommendations for the best VoIP phone handsets for schools. The Polycom VVX is perfect for your initial upgrade from landlines. The phones are user-friendly, reliable, and have a range of models to match your specific needs. The VVX300 and 400 are recommended because of their pricing and ease of use for new VoIP owners. Cisco has a broad range of phones, but for a school making its initial investment, the 6800 Series has a lot to offer. This is Cisco's most affordable option for VoIP phones and comes complete with most of the features listed above. The only downside is a lack of video capabilities, but you can always upgrade to their 7800 or 8800 Series phones. Yealink provides some of the most affordable VoIP phones on the market and offers their Yealink Noise Proof Technology, giving you crystal clear calls, even during conferences. For fewer features, go with the T2 models. For those needing more, the T5 has everything you could want. While the school's IT may never get the praise they deserve, you can rest easy knowing you've taken care of the department with a VoIP phone system. But before you jump into a purchase, we've created a few guides that'll make it significantly easier for you to decide what's worth your money. 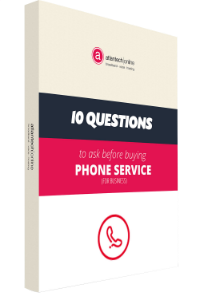 First, we've got 10 Questions to Ask Before You Buy Phone Service for Your Business. It's jampacked with everything you need to ask before buying and the reasons the questions are important. And once you have the eBook, you're ready for the Essential Guide to Phone System Pricing. There's no need to be overwhelmed by choices, and with our guide, you'll understand how things like features and redundancy contribute to the final price tag.